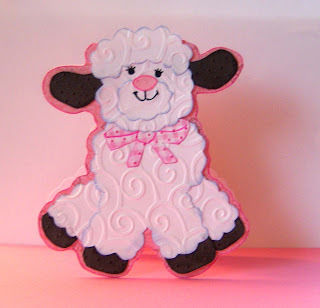 That is absolutely THE cutest lamb card I've ever seen!! Those swirls are pure genius - they really "make" the card. Esther, this is amazing. I really love what you have done here, Sophia is right genius about the swirls..well done you clever woman!